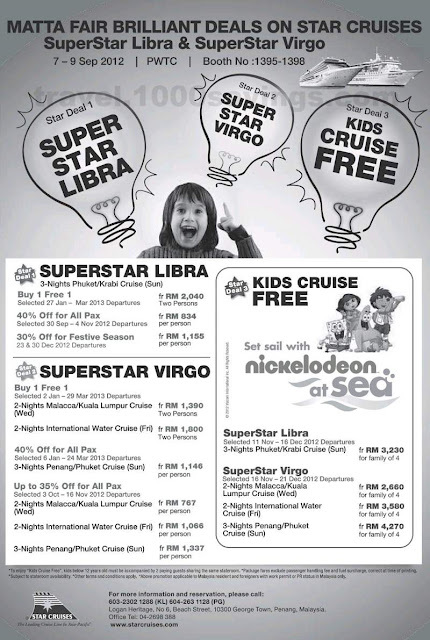 To enjoy "Kids Cruise Free", kids below 12 years old must be accompanied by 2 paying guests sharing the same stateroom. Hurry, for a limited time only! Don't miss out on this great deal! Check out more on latest Star Cruises promotion here!